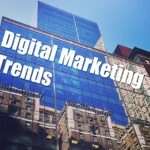 Digital marketing and social media are constantly changing. It is essential to be aware of and keep up with these changes in order to connect with your audience. This month, our top posts focused on social media trends and digital marketing predictions that can help you plan for a successful 2015 marketing year. Pinterest is introducing a new Guided Search feature that it claims has a leg up on the Bings, Googles, and Yahoos of the world. It requires the downloading of a new app and will be available only in English during the initial rollout. Shareaholic released its Q1 report on social media referral traffic, naming Facebook as the reigning king. Pinterest and StumbleUpon also made big gains, while Google+, Reddit, YouTube and LinkedIn traffic referrals remained relatively flat. Just over half (51%) of mobile phone owners over the age of 55 now have smartphones, up 10% from 1Q13, according to a recent report from Nielsen. Overall, 70% of American mobile subscribers of all ages are smartphone owners, the analysis of 1Q14 survey data found. Moreover, smartphone penetration continues to grow, with 85% of recent buyers having selected a smartphone when purchasing their new handset. 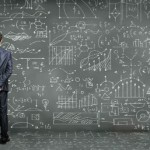 What are we really talking about when we’re talking about conversions? When we talk about conversions, we are—most of the time—discussing ways we can be more persuasive; more influential. We’re interested in meeting the needs of customers, fans, and followers and doing so in a way that truly speaks to them. How do you use LinkedIn? Chances are, your favorite uses (especially if you’re a power user) involve the off-brand ideas and innovations the company doesn’t tell you about and the majority of casual users don’t know. Chances are you’ve seen at least one of these movies: Ferris Bueller’s Day Off, Pretty Woman, Spaceballs or The Blues Brothers. 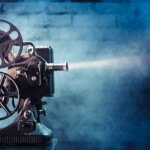 Chances are even stronger that you’ve quoted one of them at least once or could describe a scene in one.The cool thing about classic movies like these is that they can teach us lessons and inspire us to think about things in new ways. I had a that kind of experience after attending a recent Minneapolis/St. Paul Social Media Breakfast where I was inspired by Tony Saucier, George Fiddler and Sarah Panus’s insights into social media marketing. From technology trends to changing business models to evolving consumer behaviors, there’s a lot to consider in order for today’s marketers to really have a handle on what’s important about what’s next.Old digital tactics and mastering individual channels are being overcome by the need to create a common brand experience across the digital experience on and offline. Customers expect to access and consume information across platforms, apps and devices and in order for brands to “be the best answer” wherever buyers are looking, they’ll need to figure out what’s next and where to focus. Thanks to Content Marketing Institute and MarketingProfs, each year there’s a new report covering the latest trends in B2B content marketing.From insourcing vs. outsourcing to the most effective tactics, there is plenty of insight in this report to help guide B2B marketers in the right direction. A flurry of online media has covered the recent news that Google+ head, Vic Gundotra, is leaving Google and that about 1,000 of the team that worked on Google+ will now be assigned to different teams. Techcrunch ran the sensationalistic title, “Google+ is Walking Dead” which has received more than a little pushback from Google reps.So, what does this shift in leadership and staff mean for the Google+ platform? 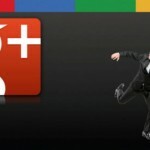 What does it mean for people and companies attempting to use Google+ for marketing? 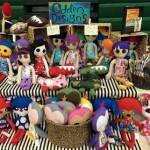 Recently my sister in-law, Melanie, shared with me the success of her initial ventures into a new business selling a collection of handmade dolls, stuffed animals and blankets. A successful medical career working at a hospital keeps her more than busy, but the side venture is enabling her to make her creative hobby into something more.Our recent discussion about turning this venture into a business surfaced many questions that a lot of new business owners face: What might be involved with hiring, manufacturing, logistics, taxes, incorporation and of course marketing. 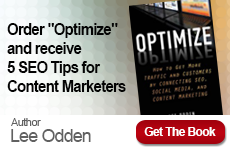 Curata Blog: Content Marketing Perspective of Marketo’s Marketing Nation Summit – Lee Odden discusses the TopRank’s Optimize 360 marketing approach: Attract, Engage, Convert. This model allows you to be the best answer wherever customers are looking.IDG Blog: Talking Content Marketing – Lee Odden Interview – In this interview for IDG, Lee discusses successful blogging and the proper ways for content marketing to attract audiences and make profitable action. Copyblogger: Here’s How Lee Odden Writes – This blog segment centers around Lee Odden’s successful writing and how his knowledge of the intersection of search, social media and content marketing has helped establish his success. B2C Blog: The Two-Part Equation to Influencer-Driven Content Marketing – Influence-driven content marketing is essential for success. 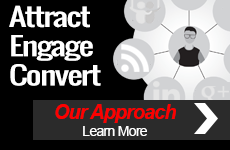 This article focuses on how TopRank amplifies its content by incorporating thought leaders. Demand Gen Report: Lee Odden: How to be the Best Answer Wherever Customers are Looking – During the 2014 Marketo Marketing Nation Summit, Lee Odden recently discussed how to give customers the best answers in B2B and B2C. Antavo Blog: Can You Guess what Social Media Mavens Crave in 2014? (Hint: YOU) – Lee Odden discusses how relationships between human beings make social media work in marketing. By interacting with customers as people instead of conversions, a company can gain more trust, loyalty and revenue. “Great post Lee! Over the past year or two, I stopped trying to use G+ like Facebook and Twitter…I go to G+ consume and gather and share. The content I look at and consume is what I used to go to Twitter for years ago…I hope people/brands/businesses don’t run away. I understand why Google would pay less attention to it, but hopefully it doesn’t go the way of the Dodo…or Wave rather. Sharing this out with my coworkers. Thanks.” – Scott Duehlmeier, from If Google+ Is The Walking Dead, Should Your Brand Run?